Happy Thanksgiving! The big turkey day is only a few days away! Thanksgiving is one of my favorite days of the year. It does not get any better than spending time with friends & family, watching football, and eating delicious food. Thanksgiving also reminds me of all I have to be thankful for. With all the delicious food that Thanksgiving involves, it can be a challenge to stay healthy. This wellness blog will give you some tips on staying healthy during Thanksgiving. Most dieticians maintain that the average Thanksgiving Day dinner is around 3,000 calories. This figure is way over the recommended caloric intake for an average individual for all meals in a day. Although this one day of over consumption of turkey and gravy will likely not be too detrimental to your overall health, there are some tactics you can use to minimize the damage further. Plan physical activity into your Thanksgiving Day traditions. This physical activity can be as organized as your local Turkey Trot, or as informal as a family walk before or after your meal. Even something as fun as an annual family (or friends) football game to get in the Thanksgiving mood can be a great way to get moving. The most important thing is to do an activity to get your blood flowing and to burn some calories. Try not to skip breakfast on the big day. Instead eat a light, healthy breakfast to start your day. Skipping breakfast (and meals in general) can lead to overeating later in the day. Eat your meal slowly. Eating slowly can help in a couple of different ways. First, research has shown that eating slowly will help you savor your meal - leaving your more satisfied at the end. Eating slowly also helps you recognize when you are full with less of a chance of overeating. Eat everything… in moderation. Thanksgiving is a time of indulge. It is often the only time of year to eat experience certain foods. This is why I would like to encourage you to eat in moderation. Instead of a whole slice of pumpkin pie and sweet potato pie, try a half slice of each. This tactic will hopefully allow you to enjoy all of your favorite foods, without overeating. Instead of just the food, focus on the meaning of Thanksgiving. Spending time with friends and family and reflecting on what you have to be thankful for should not be overlooked. If you make these things the main focus of your day with the food being a backdrop, you may come out of the day even more fulfilled. If your department is having a Thanksgiving celebration, try adopting some of these practices. You can still promote wellness in the workplace, while enjoying all that Thanksgiving has to offer. I hope you all have a healthy and happy Thanksgiving! In honor of our conference, this week’s wellness blog focuses on how to stay healthy when you are away from home. These five conference wellness tips will allow you make the most out of your time in Charlotte! Utilize your hotel fitness room! Hit those treadmills for a few minutes before starting your day at conference. You would be surprised at how many health benefits just 30 minutes on a treadmill can burn. Both of our conference hotel locations offer fitness rooms for you to conquer this. Waking up a little earlier to walk on the treadmill in the morning will help you get your day started off the right way. Get out and explore some of the Charlotte-Mecklenburg County parks! Charlotte-Mecklenburg County has over 200 parks and facilities. Carve out some time from your busy conference schedule to get out and take a walk in a park of your choosing. For a list of all of the parks in Charlotte-Mecklenburg County, please click this link. Take a stretch break in between conference sessions. Use this time to stretch those muscles and walk around. Stretching is important to do throughout the day, and it gets the blood flowing throughout your body. For some more information on the health benefits of stretching, and some tips to maximize your stretching, please check out this article. Make sure to get a full-night's sleep! This will give you more energy throughout the day. Determine what time you need to wake up to make the most out of conference, and plan accordingly the night before. It is recommended by doctors that the average adult needs 7.5-8 hours of sleep every night. Make healthy food choices! Try to eat fresh fruits and vegetables everyday while at conference. If you have any fruits and vegetables at home, bring them along! They will serve as easy snacks to save money and incorporate some freshness into your hotel diet. Also, most restaurants offer menu guides on the healthy food options they offer. Use these to make healthy choices when eating out. I hope these tips help you make healthy choices while at conference. I look forward to meeting you all during the next few days. Being Healthy at the NC State Fair! It’s finally State Fair time! If you did not know, the North Carolina State fair opened up in Raleigh on October 13th. The fair is a glorious display of everything North Carolina has to offer, and people from around the whole state come to the capital to partake in the festivities. A very unique cuisine can be found at the fair, including everything you can possibly imagine deep fried. This got me thinking about the wellness initiative, and how your program field trips to the fair, local carnivals, or amusement parks can encourage your communities to stay healthy. One way to avoid overeating at a fair is to eat before you go. This prevents fairgoers from arriving with an empty stomach and huge appetite. I would suggest eating something healthy and filling before entering the fair, so that the not so healthy fair options aren’t as tempting. Grazing on a variety of foods rather than eating the whole portion can also be useful tactic for fair eating. The Wisconsin State Fair holds a “Crazy Grazin’ Day” where they offer smaller portions of food for less money. Although our NC State Fair doesn’t hold a grazing day, you can take this idea and apply it to your own fair experience. Instead of eating the entire funnel cake, share it with your group! If your department holds a festival with food, this could be a good idea to implement.This not only allows you to eat less, but it affords the opportunity to try a variety of different foods. There are also a variety of State Fair foods that are delicious and not as bad for you. Try replacing some of the unhealthy fair foods with healthier ones. Evergreen Health wrote a great article outlining some of these food swaps, and I thought I would share some of them with you. Another way to stay healthy at the fair is to increase your walking throughout the day. Try parking further away and walking into the fair. Although it may not seem like a lot, the extra walking can help burn calories. Parking further away can also save the stress on your wallet, as cheaper and even free parking options require you to walk. Walking will also be achieved inside of the fair grounds. Take a few laps around the fair before deciding which activities to do. This tactic will allow you to stake out the can’t miss activities and vendor locations, while also adding valuable steps to your trip. Personally, my all-time favorite fair food are deep fried oreos. I know that I can only have this food at most once a year at the State fair, so I afford myself the chance. This brings me to my next tip: think about the food you want to try ahead of time. According to a WebMD article , the number one problem with fair food is mindless eating. If you must have unhealthy food at the fair, thinking about it ahead of time and zeroing in on it can help avoid this mindless eating. This will allow you to think strategically about your food choices, and cut out the unnecessary calories. I hope that these tactics can help you and your programs at the state fair, local fairs and festivals, and amusement parks. If you are heading to Raleigh for the fair this year, I wish you luck and the willpower to make healthy choices! Recently, I attended the Eat Smart, Move More North Carolina quarterly meeting in Raleigh. Eat Smart Move More North Carolina (ESMMNC) is a statewide movement that promotes increased opportunities for healthy eating and physical activity wherever people live, learn, earn, play, and pray. I learned a lot of valuable information at this meeting, and thought I would share some of it with you. 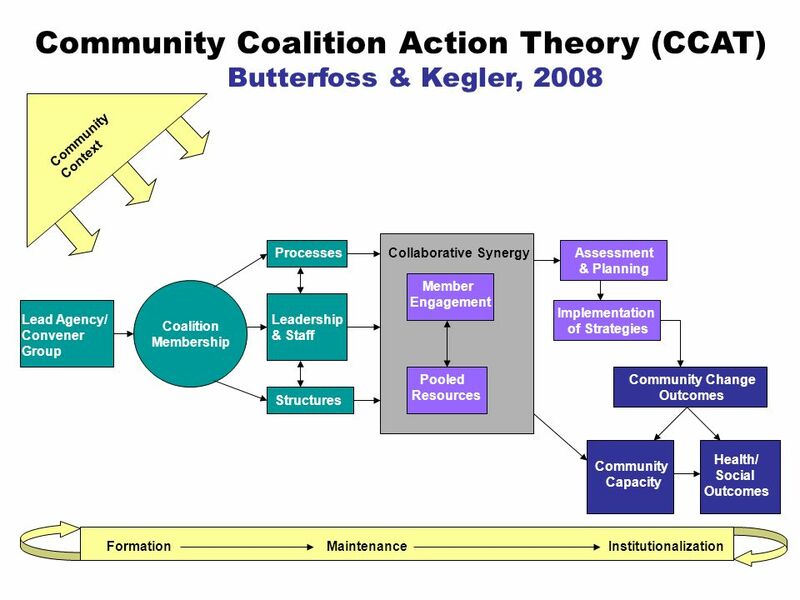 It is the belief of ESMMNC that in order to combat against this issue, individuals from different disciplines should engage in the Community Coalition Action Theory. This theory requires a collaborative effort and commitment from agencies in different disciplines within a community. Participating agencies pool their resources and knowledge together in order to work towards a common goal. Increase consumption of fruits and vegetables. Decrease consumption of sugar-sweetened beverages. Reduce consumption of energy dense foods. Decrease television viewing and screen time. Increase breastfeeding initiation, duration, and exclusivity.. It is important to note that ESMMNC does not consider these behaviors to be a “magic bullet” which fixes the problem overnight, but rather evidence based solutions to gradually reduce overweight and obesity. Family Level: Support the efforts of family members striving to be healthy. Childcare Level: Implement policies that ensure the amount of time toddlers and preschoolers spend sitting or standing still is minimized. College Level: Provide opportunities for students, faculty and staff to volunteer with community coalitions that address obesity. Work Site Level: Use point-of-decision prompts to encourage the use of stairs, drinking water, and eating healthy. Hopefully, your department can continue to adopt these tactics in order to help combat against this issue. If you are interested in learning more about ESMMNC, please visit their website. There are a lot of great resources that would be very useful to parks and recreation professionals like yourself. ESMMNC is also looking for more team members. If you are interested in joining this free organization, please visit this link. I think that it would be great to have our departments on board! Happy October! If you did not know, October is Health Literacy Month. Health Literacy is the degree to which individuals have the capacity to obtain, process, and understand basic health information and services needed to make appropriate health decisions. The US Department of Health and Human Services takes the matter of health literacy very seriously. They conducted a study where health literacy was split into four different levels: proficient, intermediate, basic, and below basic. The findings of this study were startling, with only 12% of Americans having proficient health literacy. This is where parks and recreation departments can be part of the solution. Your department can implement a few practices on the community level to encourage positive health literacy levels. When thinking about wellness, it is important for individuals to assess how much they know about their own health, and what they can do to maintain or improve it. Assessing your own health can be difficult, but there are online tools like this one that can help. In your parks and recreation programs, it would be very beneficial to offer similar self assessments for participants. The data gained from these assessments will help allow for participant self reflection. Additionally, the information communicated to the individual will help raise their health literacy. Health fairs can also be conducted to allow your communities and staff to be cognizant of their health literacy. I know that planning health fairs can be a daunting task, but in the long run they are crucial to communicate useful health information to the public. Individuals who may not be able to visit the doctor on a routine basis may be able to attend health fairs. There are a lot of useful resources online to assist in the planning process of health fairs. Hopefully, the end result from a health fair will leave attendees with a better knowledge of their health, and what they can do to make appropriate health decisions. I hope that this wellness blog has made you aware of health literacy month. With a few steps, parks and recreation departments can be on the forefront of improving health literacy in our communities. I hope everyone has had a great weekend! This week, our wellness blog is about online fitness videos. Instead of the traditional workout tape, fitness instructors are posting their exercises online through services like YouTube for free. In 2014, YouTube reported that their viewers watched 5,500 years of yoga videos alone. I often use online workout videos in my apartment when I can’t make it out to a fitness center. They are a great way to try new workouts with minimal to no equipment needed. This wellness blog will give your parks and recreation department some tips for using online fitness videos, as well as some of my favorite resources. Some may say that the ramifications from the emergence of online fitness videos have an adverse impact on parks and recreation departments. While people can now stay home to work out, I believe that these videos can have a positive impact on our departments and community as a whole. A lot of departments offer workout classes, but it is inevitable that not everyone is interested in the range of options that can offer. Because YouTube is home to millions of fitness videos, it allows for very precise results. If I were looking for a video of a workout to do for a bad back, I would have plenty of options on the web. The ease of searching for specific workouts without having to purchase anything is an incredible benefit of YouTube, and can be utilized by your department. Although videos are free, be sure to check licensure permissions before showing them at public events. One great way to use this resource in your recreation facilities is to designate a television in a multi-purpose room for workout videos. Think of this as another piece of fitness equipment. If your TV doesn’t allow for YouTube searching, try using one of these devices to make the process easy. Most of these devices are relatively inexpensive, and your department may already possess some of them. This would allow people the opportunity to search for specific workout videos that they may be interested in. You can even set parental controls to insure appropriate video results. Additionally, YouTube allows for the creation of video playlists. Your department could compile a list of general workout videos to stream continuously. This tactic can introduce the idea of using streaming sites to exercise, and inspire others to do the same. If you need help finding videos to show in your facility, try using this list which features some of the most popular online fitness classes. Video streaming sites can also be a great marketing tool for your fitness programs. If your department offers any exercise class, you could try to record a snippet of it to upload online. This snippet could then be shared with prospective students as a piece of marketing material. By utilizing the power of the internet for the purpose of fitness, your department could potentially offer millions of workout videos to your community. This trend is here to stay, and I believe that parks and recreation departments can be on the forefront of offering a safe space for our communities to exercise. If you did not know, September is Better Breakfast Month. Better Breakfast is a very important part of the Wellness Initiative for a multitude of reasons. We learned as children that breakfast is the most important meal of the day. It gives our minds and bodies the fuel we need to start the day off right. This month, the Wellness Initiative would like to encourage your department to engage in “Better Breakfast” practices. This Wellness Blog is dedicated to helping you get started on the right foot when implementing these practices. First, the USDA recommends that breakfast contain three components from three food groups: dairy, grains, and fruit. Generally speaking, combining healthy options from these three components will create a nutritious meal that will get the day started right. According to NPD Group, 31 million Americans skip Breakfast each day. Skipping breakfast has been linked to lower mood and energy levels, in addition to weight gain and even Type 2 Diabetes. So, if skipping breakfast has been linked to such horrible repercussions, why are so many Americans doing it? The same NPD Group survey found that the most common reasons for skipping breakfast were lack of hunger or desire to eat. However, these issues could be easily solved by grabbing small items such as a piece of fresh fruit, granola bar, or glass of milk on the way out. This small meal could be enough to give Americans more energy throughout the day, without leaving them feeling too full. Another observed deterrent for eating breakfast has been the time commitment required in the morning. One way to help out with this issue is to make breakfast the night before. For example, trying a simple overnight oats recipe can assure that breakfast is waiting in the fridge ready to be eaten on the go, while still achieving the USDA guidelines! Sadly, one in five children comes from a home that does not have the means to consistently provide nutritious food. This can be especially troubling when it comes to focusing at school. In a 2013 study, eating breakfast had a positive effect on behavior and academic performance in children. If your department has before-school care, try providing healthy breakfast items for attending children. If your department does not have before-school care, try holding a breakfast food drive where non-perishable breakfast selections can be collected and distributed to families in need. Finally, offer printouts of healthy breakfast recipes throughout your community facilities. Inspire people to try new healthy breakfast recipes, which will hopefully result in excitement to wake up and eat breakfast. Be sure to encourage people to share photos of the finished product on social media using the hashtag #BetterBreakfast. If your department has any tips about how to have better breakfast, we’d love to know about it! Feel free to email me at diquan@ncrpa.net, or submit it on our Wellness Hub here. Have you heard about Pokemon Go? This phenomenon is sweeping the nation and getting players outside and active! Pokemon Go is an augmented reality smartphone app, which inputs virtual elements into our real world using GPS. The players’ location are tracked via an avatar on their phone screen, and fictional Pokemon characters are superimposed around them. Users are required to get active to explore their surroundings in order to catch Pokemon characters, battle other users, and collect items to be used in the game at “Pokestops” (which are usually well-known landmarks in many of our parks). The popularity of Pokemon Go has soared since its release in July. Currently, it is the top grossing game on both the Apple App store and Google Play store. With more users than Twitter, Pokemon Go (and other games like it) has potential to become a major opportunity for wellness in parks and recreation. Because the game requires users to get outside in order to collect items and catch Pokemon, parks and recreation departments are often hotspots for Pokemon Go users. The game keeps track of how many kilometers walked, with players receiving rewards when distance milestones are achieved . Players collect “Pokemon Eggs” throughout the game, with an incubation time based on kilometers walked. It changes the usually sedentary activity of video game playing into an an active event, getting players to go outside and walk. The health benefits of this have been noticed by many users who are experiencing an increase in their physical activity. Fitness tracking apps, such as Cardiogram, noticed an increase in user activity in the weekend after the release of Pokemon Go. On the day the app launched, 45% of users were exercising for 30 or more minutes. Three days after the launch, 53% of users exercised for the same interval. Pokemon Go has additional health benefits, including being used as a tool against anxiety and depression. Since Pokemon Go requires people to spend time outdoors and exercise, it provides an extra incentive for depressed individuals to explore the world around them and connect with other people - both important aspects to fighting against these afflictions. Personally, I have experienced these health benefits while playing Pokemon Go. Instead of driving my car short distances, I am finding myself walking instead. I have also met people while playing the game in groups, and even reconnected with a few old friends. So how can your department get involved with this emerging wellness trend? One simple way is to use social media to connect with Pokemon Go players in your area. It can be used as a medium to communicate park rules, Pokemon hotspots, and any other pertinent information regarding your park. Try something like our friends over at Greensboro Parks and Recreation, who have created a fun, informative Facebook video about the trend. Be sure to emphasize that your parks are a great place for people to come to get active and catch Pokemon. I hope everyone had an enjoyable Memorial Day weekend! With a new month beginning tomorrow and another step closer to summer, this blog will discuss wellness activities in after school and camp programs. After school programs and summer camps are some of the largest programs that recreation and park agencies run. Additionally, it is a wonderful place to introduce and teach children about healthy lifestyles. The NCRPA Wellness Toolkit provides some small changes that you can make to your program that could have a big impact on the health of your participants. First, adding healthy eating! If you do have control over the purchase of food for your agency’s program, consider adding some fresh produce into your snack rotation. Such as cut up apples, blueberries, strawberries or watermelon! The healthy snack guidelines and using local produce in agency programming sections of the Wellness Toolkit can help you choose and find healthy food for your program participants. Second, adding nutritional education. Afterschool programs or camps are a great way to add a short health lesson. You can establish a weekly theme about healthy lifestyles (water safety, sun protection, eating vegetables and fruit). You can even have a weekly healthy cooking class, creating snacks that are both healthy and delicious! Lastly, make sure you add in plenty of physical activity. The Centers for Disease Control recommends that children get at least one hour of physical activity each day. You can create a policy that requires at least half an hour or one hour of activity for each day the program is offered. Check out the NCRPA Physical Activity webpage for additional information. We often find ourselves cooking more during the festive winter season! This blog discusses some heart-healthy substitutions that you can incorporate in your daily meal preparation or when cooking for special gatherings. First, flour is a very common ingredient. So instead of white, processed flour try to incorporate whole-wheat flour into your baking. Whole grains contain the entire grain, and are more fibrous than their white, processed counterparts. Secondly, unsweetened applesauce, or any fruit puree, can often replace butter or oil, as well as reduce the amount of saturated fat in your meals. Chili, pasta sauce, and heavier foods with red meat are common during the winter months. Reducing your consumption of red meat is a serious step in reducing your chances of heart disease, so consider replacing your red meat with ground turkey! This way you can still have your favorite winter meals, but a healthier version. Another healthier substitution for common ingredients is using egg whites instead of whole eggs. When it comes to baking, egg whites can generally replace the need for a whole egg. Losing the yolk helps to cut cholesterol intake without cutting the flavor. For more healthy baking substitutes be sure to read the 9 Health Substitutions for Everyday Foods by the American Heart Association. Additionally, refer back to our Health Cooking/Nutrition Programs for more ideas and information on healthy eating practices. Don’t forget to share this information with your department and community using social media, such as Facebook, Twitter or Instagram! This coming April 2016, NCRPA is partnering with departments statewide to host the first ever statewide Recre8 5k! If you have never organized a 5k race in your community, then participating in the 5k Webinar will be extremely useful information! For more information on how to get your department involved in the Recre8 5k race, visit the race page: http://www.ncparkrun.com/, or contact myself (colleen@ncrpa.net ) or matt (matt@ncrpa.net). The past couple blogs focused on nation-wide events taking place during the month of October! Both National Health Education Week and International Walk to School Day are awesome events to keep your community active and engaged. As the days get a bit colder, it is important to remain not only active but continue to eat healthy. Surprisingly, Active.com indicated that we eat about 200 more calories per day during the fall months. Do not worry, this does not mean we have to give up our favorite fall foods! Encouragingly, fall foods such as soups, stews, sweet potatoes, apples and pumpkins and all greens are packed with fiber, protein, beta carotene and vitamin C! So first start the day with a healthy breakfast. According to Active’s 7 Ways to Stay Healthy This Fall, studies have indicated by eating breakfast in the morning can lower your calorie intake during the day and kick-start your metabolism. An example of a healthy meal can consist of oatmeal with blueberries or a banana. Oatmeal is a “whole” grain, and contains protein, soluble fiber, potassium, calcium and zinc, all great health benefits! Another idea is to prepare your own lunch, as well as plan ahead for dinners during the week. You will feel less rushed after work and avoid the fast food line. Controlling your own meals will allow for conscious health choices. Locate a local farmer’s market to find healthy and fresh produce. Purchasing from local farmers not only means fresh products, but it also supports your community’s economy. Another benefit is that North Carolina has a long growing season, so it is possible to eat a variety of fruits and vegetables throughout most of the year. Make sure to take advantage! Not sure what is in season? Refer back to our Local Produce page to access information regarding your community’s produce and view What’s in Season? for fruit and vegetable availability. Another important component for healthy eating is portion control. The Portion Plate is used by half a million dietitians, educators, and consumers to reinforce balanced eating and a healthy diet. When you are preparing meals, try to make half of the serving’s fruits and vegetables, serve more whole grains and do not oversize portions. Combining all these tips and sharing it with your department and community will encourage people to live a more healthy and balanced lifestyle! Remember, continue to use social media outlets, such as Facebook, Twitter and Pinterest, to share healthy recipes and ideas. There are plenty of options to enjoy your favorite foods while being health conscious. For more ideas you can refer to our Healthy Cooking and Nutrition Programs page. Summer is in full swing and there are a ton of activities going on! Between sports, swimming, hiking, and youth camps, there are plenty of opportunities for children and adults to stay active. However, the most important aspect, no matter the activity , is safety! The New York City Department of Youth and Community Development (DYCD) has created a great safety guide containing safety tips so program staff can refer to it if a situation should occur. Below are some tips to help keep children and adults safe while having fun. North Carolina can often experience extreme heat during the summer months. Plan to hold strenuous play or activities during the coolest times of the day. If the participants are engaged in long periods of activity while exposed in the sun, make sure they are taking frequent breaks and you are monitoring the intensity of the activity, if needed reduce the time of the activity. Lastly, make sure the participants are well hydrated, wearing thin clothing, and applying sunscreen protection every couple hours. Swimming is not only great exercise but a way to stay cool in the summer. However, young swimmers should always be supervised! Ensuring there is an appropriate number of staff supervising the children is a great way for all kids to be accounted for. The children should also have a swimming buddy to help keep the children together. Lifeguards should be CPR certified. Last Wednesday NCRPA was fortunate enough to have Scott Knox, from Morrisville Parks, Recreation and Cultural Resources, provide us with information regarding run groups and training for a 5K race. Scott emphasized that greenway trails can be perfect for recreational and wellness use, but many are not aware of their existence, or their ease of access. Run/Walk groups are a perfect way to educate communities on their park’s system, as well as the importance of health and wellness. Scott went over key points, such as getting started, who to reach out to in your community, and other helpful information of organization run groups and 5K training. The first goal is to establish a base of interest. Social media, flyers throughout the community, and reaching out to people who would be interested in participating is a perfect place to start. The idea is to cater to families and individuals to contribute to the diversity of the running group, which will allow to meet the needs of all types of runners! The next step is to each out to an organization or special interest group that have similar interests or objectives as what you have set for the group. The groups can consist of healthy food vendors, sport equipment stores, or other sponsor groups. It will be easier to promote the run group if your department has external organizations reaching out to the community as well. Now, where do we start? The key is to pick a time and place that will best suit your participants. Once again, it is important to promote the run group to all sorts of experienced runners. The next step is to provide the participants with something to follow, such as a 5K training program guide giving them a goal to achieve. Finding a way to instill motivation and inspiration among participants is critical for the success of a run group program! There are multiple reasons why people may have unhealthy diets. Some reasons can include: lack of proper nutrition information, difficulties accessing affordable healthy foods, or lack of desire to change their eating habits because of various factors. While it is impossible for parks and recreation agencies to solve all barriers to healthy eating, there are still ways to promote healthy eating in your department and community. Our Wellness Initiative webpage provides information to help your department get a jumpstart on creating a healthier community when it comes to healthy eating and cooking. Specifically, our tool kit page on Healthy Cooking and Nutrition Programs can guide your department in establishing nutrition programs for the community. The first step is to have nutrition training for your staff, which will increase awareness and knowledge of nutrition within your department. You can reach out to the local cooperative extension, county health department, or nutritionist from a local college to come and lead a staff training on nutrition. The next step is to build a network and create more contacts in your community, one idea is to reach out to local farmers to come and talk about the development of produce. Another option is to contact your local food bank to start a cooking program for food-insecure families. There could be other local vendors who are willing to help endorse healthy eating and nutrition programs as well. Lastly, one idea to expand awareness in your community is to a host a parks and recreation healthy cook-off. Pick a local or annual event to bring in community members, local farmers, chefs and vendors to share information, cooking-tips, and recipes. Refer to our Using Local Produce in Agency Programs webpage for more information on local produce in North Carolina.